Following the L.A. Riots, the mood in our city was unsettling, and on our first day of high school, we had only three things in common: we hated school, we hated our teacher, and we hated each other. Many of the students who entered Erin Gruwell’s freshman English class weren’t thinking about how to make it to graduation, but how they could make it to sixteen years old. Racial and gang tension had peaked and a record 126 murders had occurred in Long Beach that year. With the external stresses of a divided city, the students of Room 203 were not concerned with the education system that had already failed them on multiple occasions. Gruwell’s students had been written off as unteachable and below average. Regardless of what her peers tried to tell her, Gruwell sought to engage her jaded students. She chose, instead, to listen to what they had to say and saw beyond the stigma of their low test scores. She brought in literature written by teenagers who looked and talked like them, who faced struggles just like theirs. The students soon realized that if they could relate to the complete strangers in their books, they could certainly relate to one another. They started to form a diverse family, accepting of all, that they named the “Freedom Writers” after the 1960s Civil Rights activists, the Freedom Riders. In this newly formed safe space, the Freedom Writers began writing anonymous journal entries about the adversity they faced. They felt free to write about gang violence, abuse, drugs, love, and everything else real teenagers dealt with on a daily basis. The rawness and honesty of their journals was published in a book called, “The Freedom Writers Diary,” which became an instant “New York Times” Best Seller. All 150 Freedom Writers graduated in 1998. Many have gone on to pursue higher education and lucrative careers. 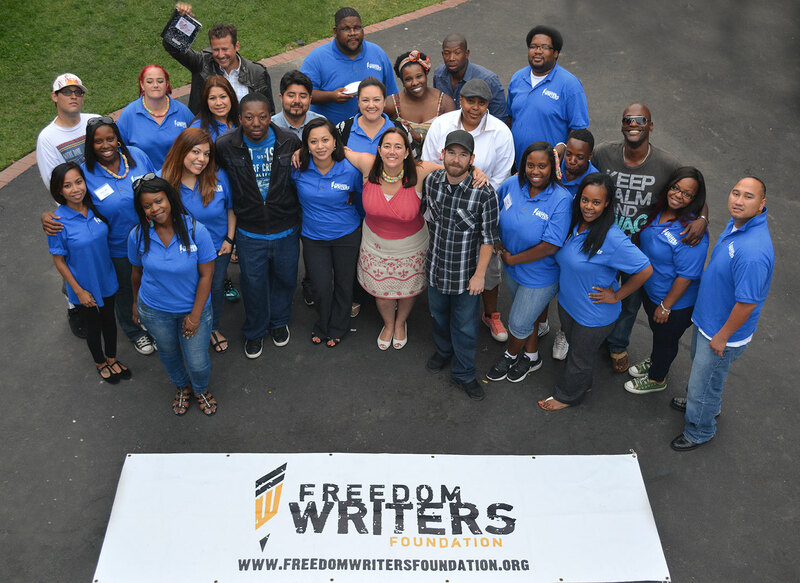 The Freedom Writers Foundation was created shortly after to help other educators mirror Erin and the Freedom Writers’ accomplishments and ensure a quality education for all students. In order to replicate the success they had in classrooms and communities across the world, Erin Gruwell and the original Freedom Writers founded the Freedom Writers Foundation. The mission of the Freedom Writers Foundation is to be an advocate for all students and teachers by providing tools that facilitate student-centered learning, improve overall academic performance, and increase teacher retention.